GREAT new product, specifically designed for big rig drivers! “Telemedicine has the potential to reform and transform the industry by reducing costs and increasing quality and patient satisfaction” ---Health Affairs, February 2014. Telemedicine has moved from a concept, to the here and now. Health care consumers now have the option of purchasing telehealth products such as our Bost Benefit card, that gives you 24/7 phone and computer access to doctor consultations, and prescriptions. Imagine getting sick out of town, and needing a prescription for antibiotics…now, you can have that, and more! Per a report in U.S. News and World Reports in October 2015, telemedicine is assisting healthcare providers by reducing costs, improving care, cutting down on hospital readmissions and providing doctor-patient engagement even in rural areas of the country. 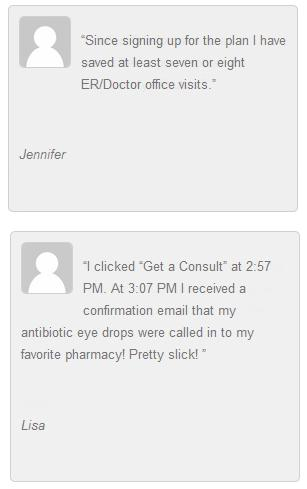 Our employees at InsureMyRig.com use, and love this product…and we highly recommend it. With Teladoc, you can talk to a doctor by phone or online video consult to get a diagnosis, treatment options and prescription if necessary. Save time and money by avoiding crowded waiting rooms in the doctor’s office, urgent care clinic or ER. Just use your phone, computer, smartphone or tablet to get a quick diagnosis by a U.S. licensed physician. Medical Base Package - $15.99/mo. Now you can help offset the high cost of healthcare, additional out-of-pocket costs, and uncovered services. Receive significant savings for you and your dependents with My Medical Help Card. All benefits are available through one convenient and easy to use discount benefit card. 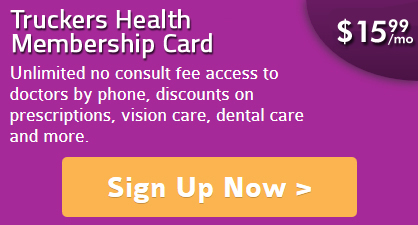 Your My Medical Health Card is simple and easy to use. There are no health restrictions and no paperwork. You can take advantage of the benefits as soon as your membership packet arrives. Simply present your card to a participating provider, and receive the service or discount at the time of purchase. We guarantee 100% satisfaction. If for any reason you are not completely satisfied with your membership, simply contact us within 30 days of the effective date and we’ll cheerfully issue a full refund.